Can I Be Fired or Discriminated Against Because I Have Diabetes? Diabetes is a disease which affects the body’s ability to produce a hormone called insulin and properly regulate the blood-glucose level which results in abnormal body regulation which leads to serious health-related issues. To make up for their body’s inability to produce insulin, scientists and medical professionals synthesized the hormone which gives people with diabetes a way to inject this hormone and control their blood-glucose levels. This easy medical procedure gives them the ability to deter any negative effects and live a normal life. But with such a severe disease, difficulties which arise and force you, the employee with diabetes, to miss time from work in order to deal with your illness. After all, you can’t perform your job duties if your body is suffering from a malfunction. If you believe your boss has illegally discriminated against you or wrongfully terminated you for being diabetic, contact our law firm for a free consultation. Our discrimination and wrongful termination attorneys can fight to get you compensated for all the injustice. Is Diabetes Protected Under any of the Federal Acts? Attendance is generally thought as mandatory, and so many people who have to miss work to deal with a health issue often wonder about their job security. It’s an absolutely normal worry – can their employer fire them if they have to deal with a matter of life or death? Before progressive legislature was created to protect employees, employers could do with their workers as they wished and terminated their employment simply if they didn’t like them (to name an example). The state of California, like many states in the U.S., is an “at-will” employment state. This means that employees are not being forced to work there and so the employer can fire them without any rhyme or reason. There’s a catch. The reason must not be illegal and cannot violate any of the protections that exist to protect employees’ rights. One of those rights that an employee can use is the right to take time off to deal with an immediate medical issue, or the medical issue of an immediate family member like a child or parent. Is type-2 diabetes considered a disability? Can you get fired for being diabetic? My employer terminated me because of diabetes. Can I sue my employer for diabetes discrimination? My boss let me go because I had diabetes. Can he legally do that? Is this wrongful termination? Is diabetes covered under the ADA? What Acts Protect People Who Have Diabetes? There are two Acts that may help protect your employment status if you have diabetes in which an employer cannot wrongfully discipline or terminate you. Such Acts include the Family Medical Leave Act (FMLA), and the Americans with Disabilities Act (ADA) – each provides protections for workers with diabetes. For example, if you have been diagnosed with diabetes, and you require extra time after meals to inject insulin, but your employer does not allow it and gives you the boot, you may have the grounds to sue them because of the violation of either the FMLA or the ADA. Any public or private elementary or secondary school regardless of the number of employees. You have worked at your place of employment for 12 months or more, have accrued 1,250 hours during your 12 months of employment. The birth of a child – additionally adopting a child also qualifies new parents to take leave. The employee should notify their employer of their condition in order to reduce any confusion that may arise from an employee’s absence. Under the FMLA, diabetes is considered to be a serious condition under which an employee can take time off to deal with any issues that arise because of their illness. The ADA does not have a strict list of illnesses it covers, rather it has a broad definition of “disability” and if the ailment qualifies the person under the ADA’s definition of “disability,” then the person may qualify to receive the protections the ADA grants. The ADA does not allow employers to discriminate against employees with disabilities if they are qualified and can perform the essential job functions, with or without reasonable accommodation. Reasonable accommodations are changes to that person’s work station/schedule in order to help them do the essential functions of the occupation – primarily the services that make that job necessary to exist. While simply having diabetes does not qualify you for protections, the conditions that may arise from the condition could. What Happens to My Job When I Have to Take a Medical Leave of Absence? When you have to take a medical leave of absence to deal with your diabetes, your employer cannot simply fire you from your position because of the missed time. Under the FMLA, you are entitled to up to 12 weeks of leave to take care of your medical illness. 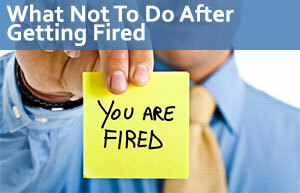 When you return, your employer must give you your old job back or something that is nearly identical to it. Additionally, if you were being considered for a promotion, raise, bonus, or any other benefits, your employer cannot remove you from contention simply because you took your medical leave. Can I Sue My Employer If They Wrongfully Terminated or Punished Me? You may have the legal grounds to file a lawsuit against your employer if you believe that they wrongfully terminated for denying your rights to medical leave or discriminated against you for having a disability. You can file a lawsuit right away, but it must be charged within two years of the violation. You have the option to file a charge with the Department of Labor (DOL), but it is not required. If your employer discriminated against you for having diabetes, and thus a disability, you have the grounds to file a lawsuit against your employer. You must first file the charge with either the Equal Employment Opportunity (EEOC) or the Department of Fair Housing & Employment (DFEH). You can then request a “right-to-sue” letter if they determine your claim to be adequate. The California Labor Law Employment Attorneys Group is here to ensure that you get the most compensation possible for your employer’s disregard for the law. Our Los Angeles law firm offers free consultations and a zero-fee guarantee! If you live in Los Angeles, our attorneys could meet with you at our office. We take cases across the entire state of California. If you don’t live in Los Angeles, our lawyers can travel to you or speak with you over the phone. Call us, your lawyers for diabetes discrimination, today to ensure that justice is served.